After narrowly losing to Belgium in their last match, the next World Cup fixture involving England is versus Colombia at the Spartak Stadium at 7pm on Tuesday. British Bookmakers best odds for Colombia v England are below, as well as a match preview, and the betting offers and price boosts you can use on the game. We've highlighted the best odds that bookmakers offer for a Colombia win (H), a win for England (A), or a draw (D) below. Use the ALL ODDS tab to view more bookmakers odds. NB: Best odds for Colombia v England correct at the time this match preview went live and are subject to change. Last updated: GMT 07:00 03/07/2018. As well as the best odds above, we've also listed bookmakers latest betting offers and price boosts that are available for betting on England's World Cup 2018 match against Colombia. You can watch the Colombia v England match live on ITV at 7pm on Tuesday evening. 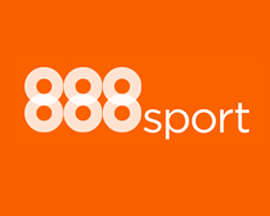 Signup with 888sport today using promo code '888ODDS' and you'll get the boosted price of 7/1 on England beating Colombia in their World Cup match. New customers only. £10 minimum deposit required. Qualifying bet must be placed at the normal odds Min bet £5, max bet £5. Extra winnings paid in FREE BETS and added within 72 hrs of qualifying bet settlement. Free bet stakes not included in bet returns. Free bets expire 7 days after credit. This offer may not be combined with any other offer. Withdrawal restrictions and further T&C’s apply. 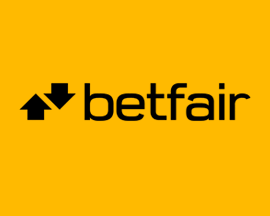 Signup as a new customer at Betfair today and you'll get the boosted the price of 40/1 on England beating Colombia. Plus, claim up to £100 in free bets! New Customers can get England at an enhanced 40/1 to beat Colombia. Max Stake £1. Winnings paid in free bets, valid for 7 days, only deposits with cards/Paypal count. Exchange and multiple bets excluded. T&C’s Apply. 18+|Gamble Aware. Bet £10 on England to beat Colombia at Coral and they'll credit your account with a £5 free bet for every goal that England score during the match! 18+. Min stake £10. £5 per goal paid as free bet. Not valid with Cashout. Offer valid on England in 90-minute pre-match market. One free bet per customer, per goal scored. Max free bet award £15. Applies to goals scored in 90 mins. Free bets valid for 24 hours. T&Cs Apply. Signup for a new account at Coral and they'll boost the price of Harry Kane scoring a goal against Colombia to 50/1. Max bet £1. £5 free bet if your bet doesn't win! 18+. New UK+IRE customers only. Certain deposit types and cash out excluded. Winning bets paid in cash at normal price. Enhanced odds paid in £5 free bets credited within 24 hours, valid for 4 days, stake not returned. 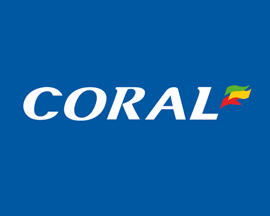 Losing £5 free bet excludes Coral Connect customers. T&Cs Apply. 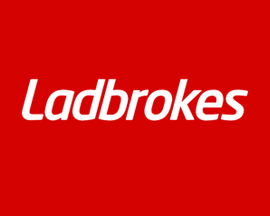 Signup as a new customer at Ladbrokes today using the promo code 'ENGLAND' and you'll get the boosted price of 50/1 on England beating Colombia! 18+. New UK+IRE players only. Time limited. Use "ENGLAND". Certain deposit types and cash out excluded. Min deposit £5. First bet £1. Winning bets paid in cash at normal price. Enhanced odds paid in £5 free bets credited within 24 hours, valid for 4 days, stake not returned. Losing £5 free bet excludes Grid customers. T&Cs Apply. Place a First/Last/Anytime Goalscorer or Correct Score bet on Colombia v England at PaddyPower and if you'll get moneyback as a free bet if Kane scores in 90 minutes. Applies to First Goalscorer, Last Goalscorer, Anytime Goalscorer, Correct Score and WhatOddsPaddy markets. Max free bet €/£10 per customer. T&Cs apply. 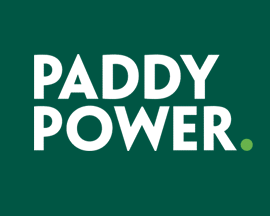 Signup for a new account at PaddyPower today using the promo code 'YFBC89' and you'll get the boosted price of 40/1 on England beating Colombia. Signup with PaddyPower today and bet £20 on Colombia v England and if you don't win your bet, they'll refund your original £20 stake - in cash! After a loss to Belgium in their final group game, England will now face Colombia in the Last 16 stage of the World Cup 2018 in Russia at the Spartak Stadium on Tuesday evening. This is a huge game for England, and while Colombia will be tough opponents, bookmakers offer Gareth Southgate’s men as favourites to win and secure a place in the quarter-finals. The last time these two teams met was back in 2005 when England won an international friendly 3-2, but they are very different teams now and this match has a lot more riding on it this time. Gareth Southgate’s men had some decent wins in their first 2 games against Tunisia and Panama, but a loss to Belgium saw them finish as the runner up in World Cup Group G.
This may have been more of a strategic move by Southgate, with 8 changes to the squad and key players including Harry Kane rested for the last match. It means that England should be in a much stronger position heading into the Colombia game, with fresher players, as well as a having a potentially more favourable run in to the Final. If England win, they'll face either Sweden or Switzerland in the quarter-finals, meaning they'd avoid having to play Brazil and have a much better chance of getting to the actual Final. Southgate made some significant changes to the line up for the Belgium game, ensuring that key players were rested and in top form for the bigger battles they face as they progress. There have been questions about whether this will have had an impact on England’s form, but this shouldn’t be an issue if they return to the winning line-up of their first 2 games. Colombia didn’t have an easy time in the group stages, surprising everybody by topping the group after they beat Senegal, while Japan lost to Poland and finished second. The South American’s will a tough team to beat, however they are without star player James Rodriguez who is struggling with a calf injury. Facing one of the top teams in the tournament without one of their key players could prove to be too much for Colombia. It was disappointing to play a weaker team against Belgium, but the teams they now face should put England in a much stronger position heading into the final stages of the competition. If England can secure a victory against Colombia in this Last 16 match, there's no reason why they can’t go on a run and do much better in World Cup 2018 than they did last time around. The last time there was a World Cup match between Colombia and England was on June 26th 1998 with England winning 2-0 thanks to goals by Darren Anderton and David Beckham. There have also been a total of three international friendlies between the two sides with England winning two of the three fixtures and drawing one. The two wins were a 4-0 win on May 20th in 1970 which took place in Colombia and a 3-2 win at Giants Stadium, East Rutherford on May 31st 2005. This was the last time that England played Colombia and it was made even more memorable by the fact that Michael Owen scored a hat-trick within the space of just 22 minutes! When looking at the five times that England have played Colombia, they've won 60% of the time, drawn 40% of the matches and never actually lost. The biggest win of the five fixtures where England have beaten Colombia was the 4-0 win back in 1970 when Martin Peters scored 2 goals with Bobby Charlton and Alan Ball also scoring. Looking at the last 6 games that Colombia have played, they've won 3, drawn 2, and lost 1 scoring a total of 8 goals (1.33 goals per game) and conceding 4 goals in the process. England's record over the last 6 matches is won 4, drawn 1 and lost 1. They've scored more goals, 13 in total (2.17 goals per game) but also conceded more goals than Colombia, 5 in total. World Cup Boosts > Bet at enhanced odds before boosts expire!